Shoulder injury is most commonly seen in throwing sports such as baseball and softball, but can also occur in contact sports such as football and soccer. Rotator cuff tears and shoulder dislocations are probably the most widely known shoulder problems. Other common shoulder injuries to the shoulder include tendonitis, sprains, strains, impingement syndrome, instability, and labral tears. Injuries to the shoulder can range from acute injuries to chronic problems. Shoulder injuries are not limited to upper body sports like baseball and softball. Football, rugby, and other contact sports can often produce season ending injuries as well. Whether you have suffered a traumatic shoulder dislocation, or just have chronic impingement syndrome, understanding what your injury involves is the first step in the recovery process. Below you will find links to the most common types of shoulder problems. A serious injury that often requires rehabilitation, and possibly surgery. The rotator cuff are some of the most important muscles in the shoulder. Learn about injury to them, and how to treat it. A frustrating shoulder injury with multiple causes. Injury to the cartilage in the shoulder. Learn more about the different types of labral tears, causes, and treatment. A specific type of labral tear, this injury occurs in conjunction with shoulder dislocations. 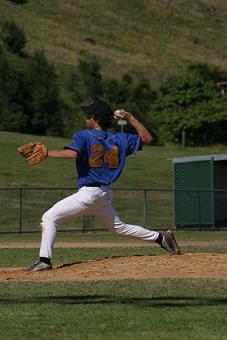 A labral tear that occurs often with overhead throwers, especially baseball pitchers. Broken collarbone...broken shoulder...no matter what you call it, this injury is nothing to scoff at. Not to be confused with a shoulder dislocation, an AC separation is still a serious injury to the shoulder.